Description: Paving way for a new 65,000 square-foot Group Special Troops Battalion (GSTB) facility, the project entailed full demolition of a 4-story building. 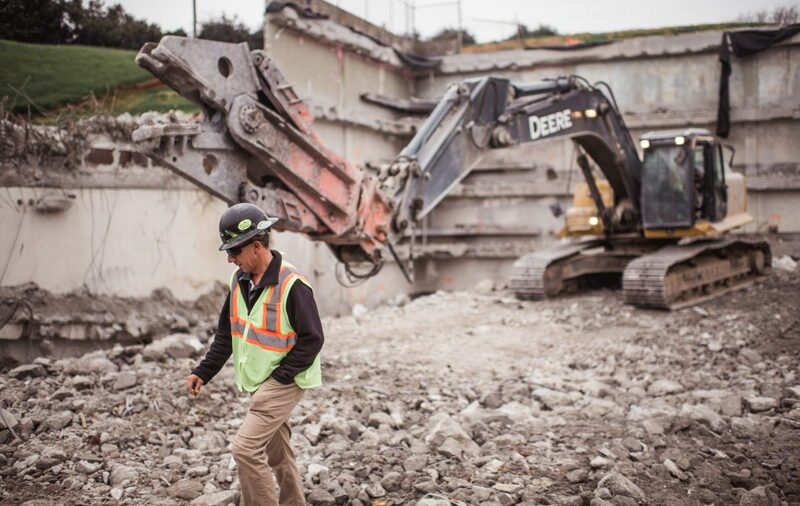 With more than 18,000 tons of concrete crushed into riprap and #2 stone sizes, the stockpiled ground concrete will be used onsite as substrate placed under constructed Green Spaces. SSD also removed and recycled 350 tons of metal.